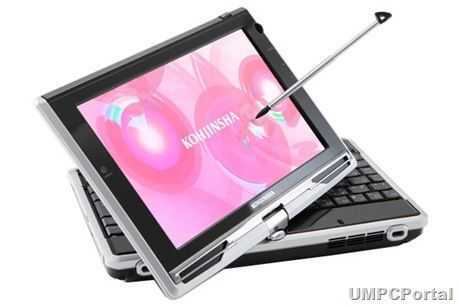 We’ve just had an unofficial tip-off that Kohjinsha will be launching a new 7 inch ultra mobile PC this week. It will be an improved version of the SC3, one of the few remaining 7 inch UMPCs with a keyboard. The changes look to be fairly subtle with differences in appearance, size and weight (down to 720gm) and the same 1.3Ghz Menlow platform with similar specifications. The GPS and SD card slot remain along with the PCI-Express, VGA-out and LAN connection that other 7 inch UMPCs don’t have. Wifi is upgraded with 802.11n support which is a good sign that they’ve dumped the horrible inefficient WiFi module that was in the SC3. Windows 7 support is also being mentioned in the information that we’ve got. The only significant new feature seems to be a dual camera but from the fuzzy Japanese-language info we have here, we can’t work out the resolutions. The letters ‘AF’ give an indication that the quality could be fairly high. 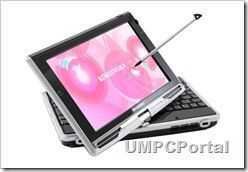 There’s no information on the screen touch technology but the pen in the images indicates that its resistive. Nice case. Looks much less deep than the SC3. No rear battery. My immediate thoughts are that this is a good improvement over the SC3 and a better choice than the Raon Digital Everun Note if the battery life and disk speed is improved. The SC3 is hampered by a slow HDD so an SSD option on the SK3 is a must. Battery life also needs to be improved over the SC3. Notice that the there’s no rear battery on the SK3 indicating that Kohjinsha have switched to the Li-Poly battery technology. That means they can design the battery into the casing which reduces the depth and provides a bit more flexibility. I’m keeping my fingers crossed that its a 30wh module that can drive the device for 4hrs but only a hands-on and price will reveal the truth and tell us whether this is a truly all-round ultra mobile PC that will compete with the ‘7hr’ Viliv S7 that we are also expecting to hear about soon. It’s confidence-inspiring to see that Kohjinsha are continuing to push forward in the ultra mobile PC market. With Windows 7 on the horizon, we hope that others will follow the lead and we look forward to a busy Q4! Nice one. 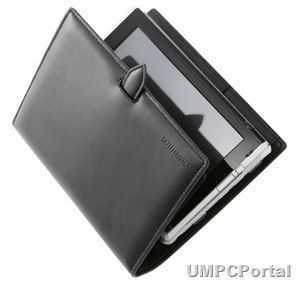 The touchscreen tablet is still top of my umpc wish list! Sooner or later someone is going to release my ideal device lol! Hey Chippy I still have my SC3, and that case for the SK3 looks very nice. Any one know if there is one for the SC3? Hi have some hard specs for you. First the Screen is 1024 x 600 and it is a touch screen. It will be on sale from June 26th in Japan and should be in the 7-800 USD range with the current strong YEN. Same Intel Atom Z520(1.33GHz)CPU and Intel US15W Chipset. Sadly the battery is only rated at 2.3 hours. 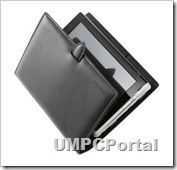 It will be selling with Windows XP Home SP3. Larry / Kabatek, thanks for the info. 2.3hours is really poor in my opinion. The two biggest problems with the SC3, battery life and HDD speed haven’t been addressed with this. Damn, only 2.3 hours? That’s almost a kick in the nuts for me right now. 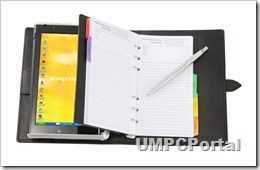 I really want something small and light like this with a color touch screen. Something if worse case comes to pass I can hack linux on to become my dedicated book and comic book reader. Price isn’t what I’d be willing to pay. Why not kill the keyboard all together? Do we really need those anymore on small devices? Multitouch has come along way. The other interesting feature is that is comes with a 3 megapixel auto focus webcam. Apparently the first auto focus webcam built into a notebook. I got one in Japan. The performance of GPS is very good,and better than before. 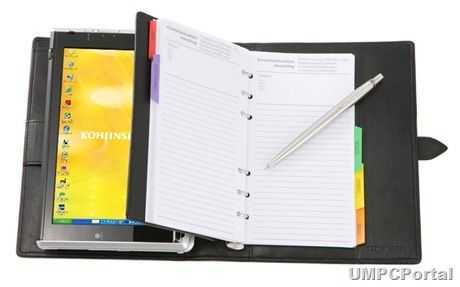 I’m generally not carrying agenda’s with me, especially not if I have a netbook by the hand. So for me, if they could sell it without the GPS (which makes little sense on a device capable of only running for 2 hours, and besides, there are many USB GPS pucks available anyways), leather pouch, and perhaps DTV antenna (USA has Digital TV signals, but I’m fairly sure with the size of the antenna that you won’t see much of fluid action on the TV, unless you’re standing outside; which is where most people don’t prefer watching TV). So without those 3 items, if they could shave off $50 to $100 it would make a nice buy. « MiFi 2352 Personal 3G / Wifi Hotspot Video Demo.